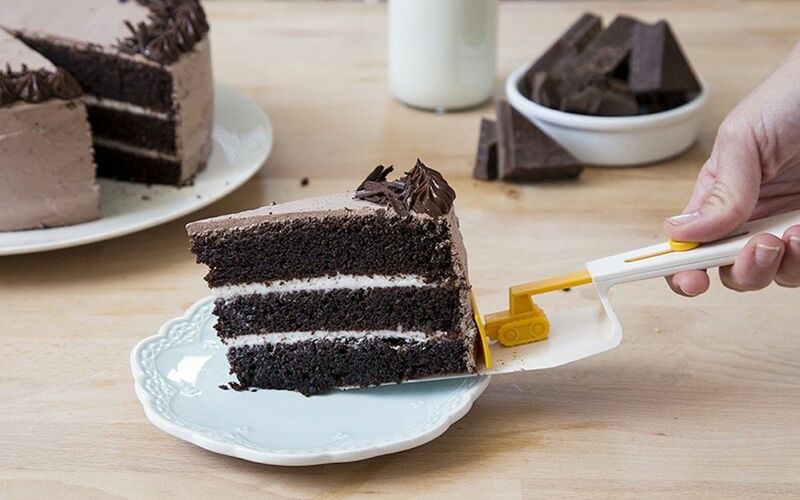 Introducing the Cakedozer Cake Server, the one instrument that makes having your cake and eating it, too, even better than before. 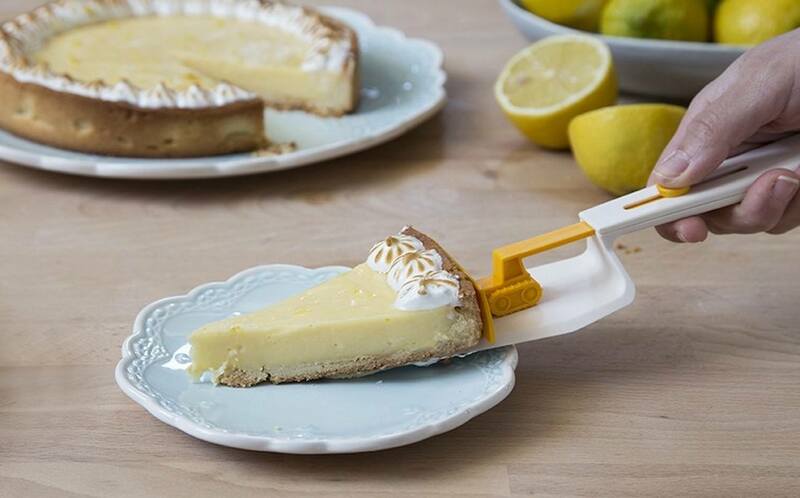 Available in gray or yellow, this server combines a traditional serving utensil with a smart mechanism to actually push the piece of cake off the server and onto your place. 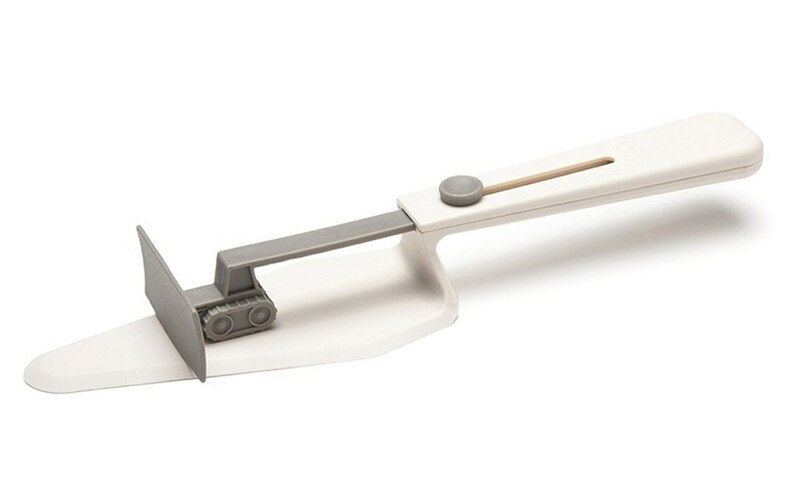 Simply slide the server under your slice, bring it to your place, and use the lever on the handle to ensure the entire piece, crust included, makes it to your dish. 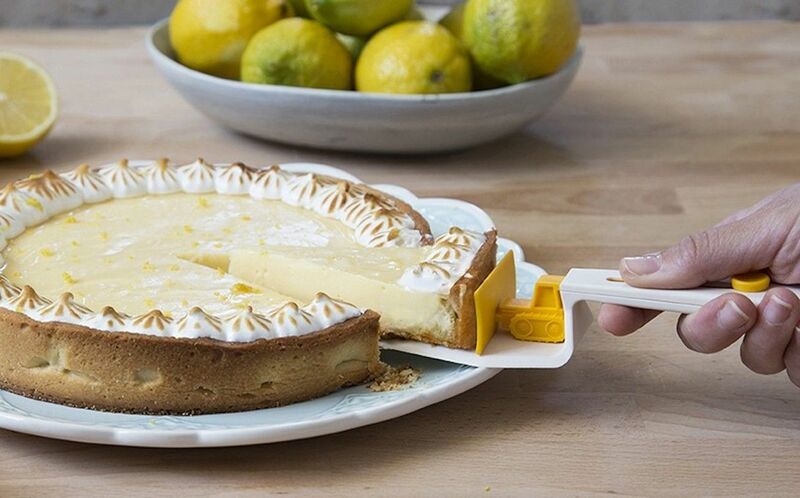 The Cakedozer Cake Server is heavy-duty machinery and can handle anything from Key Lime pie to a big slice of birthday cake your grandma’s famous ooey-gooey apple pie. 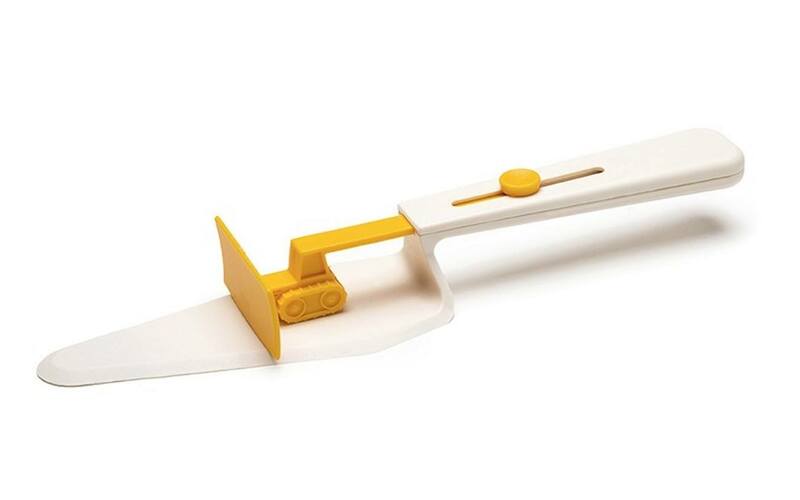 The Cakedozer Cake Server isn’t just for cakes; it can be used to deliver tasty pizza, yummy pies, slices of tarts, and so much more. Who says you can’t play with your food?